Azimut Benetti is the world’s largest network for yachts and mega-yachts manufacturing, and the world’s leader in luxurious motor yachts industry in general. The group comprises world famous leading brands such as Azimut Yachts, Azimut Grande, Atlantis and Benetti Yachts, Yachtique, Fraser Yachts, Lusben, Marina di Varazze and Royal Yacht Club Moscow, offering to customers the widest range of vessels: from motor 30-foot Atlantis sport models to 70-meter super yachts and absolutely exclusive masterpieces performed by the Benetti shipyard. A more detailed set of company’s offers is: Azimut Yachts that constructs open and flybridge yachts from 38 to 100 feet; Magellano is a unique range of yachts from 43 to 76 feet with a dual-mode hulls famous for its comfort and long-range run; Azimut Grande is mega-yachts (more than 100 feet) manufacturer; Atlantis offers open yachts from 30 to 60 feet, belonging to the “day boat” class; Benetti is a manufacturer of exclusive super yachts from 24 to 70 meters long. The design of all lines of Azimut Benetti Group yachts is represented by a unique distinctive style, devised by the best Italian design studios - Stefano Righini, Carlo Galeazzi, Cor D. Rover, Neo Design, Zuretti Interior's and many others. Azimut Benetti has the most extensive sales network in the boating industry worldwide, with 138 sites in 68 countries. Being close to boat owners in all corners of of the world is an ideal basis for delivering an outstanding level of service to customers. The values behind the success of Azimut Yachts are a formula that ensures the utmost value for customers who choose our yachts. 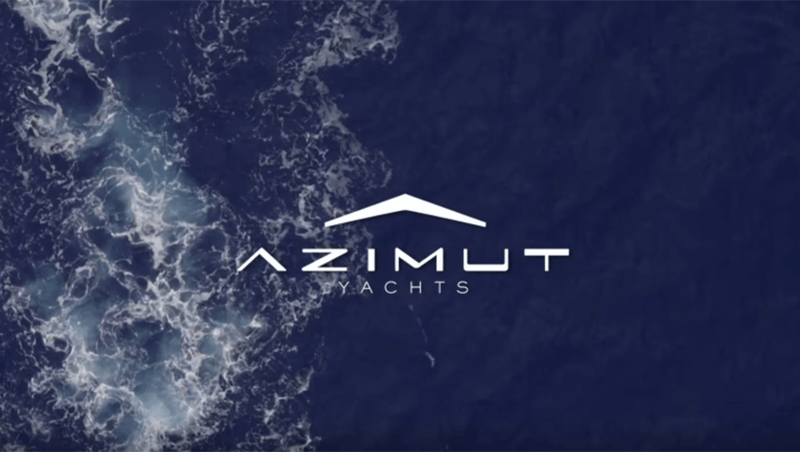 The guiding principles of Azimut are documented, written and published, so they may guide and encourage new generations of young people that will shape the company's future. Azimut Yachts is a success story that comes from 1969 and like any other great story; it is a story of identity, Paolo Vitelli’s identity. Azimut Yachts came about in 1969, when a young university student Paolo Vitelli founded his first company and began chartering sailing boats. In 1970 some prestigious yachting brands appointed the company to distribute their boats in Italy. 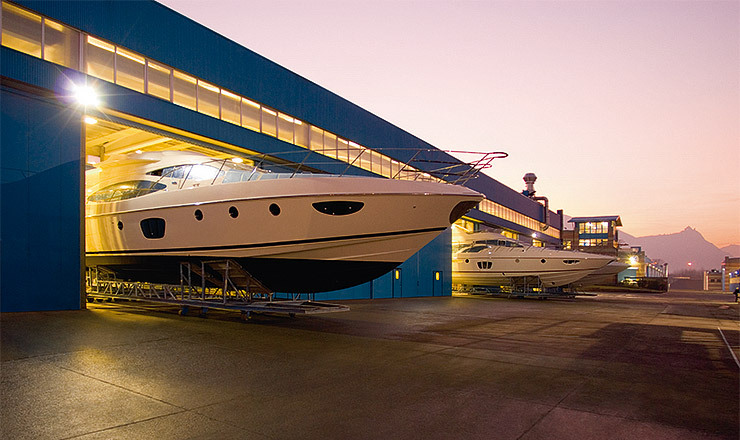 Azimut quickly expanded its operations: Apart from distribution, it began to design new yachts. In a joint venture with Amerglass, it designed the AZ 43’ Bali, a mass-produced fibreglass boat, which was an immediate success. The company gradually expanded its range, focusing on the lower end of the market - with the launch of the AZ 32’ Targa in 1977, the “Ford T” of the boat world - and upper end too - (with the memorable debut of the Azimut 105’ Failaka in 1982, the biggest mass-produced yacht in fibreglass at the time). In 1985 Azimut acquired Benetti. This historical brand, based in Viareggio, had been building boats since 1873, and designed the concept of the mega yacht. Azimut was now able construct its own yachts, defining new style and industry standards that would go on to revolutionize the boat building industry, such as: large frameless windows, electric seats, and walnut interiors. From the late nineties onwards, with the acquisition of new boatyards at Fano, the restructuring of the Benetti boatyards at Viareggio and the construction of a new site at Avigliana, in the province of Turin, Azimut went on to become the foremost builder of yachts and mega yachts.In 1985 Azimut acquired Benetti. This historical brand, based in Viareggio, had been building boats since 1873, and designed the concept of the mega yacht. Azimut was now able construct its own yachts, defining new style and industry standards that would go on to revolutionize the boat building industry, such as: large frameless windows, electric seats, and walnut interiors. 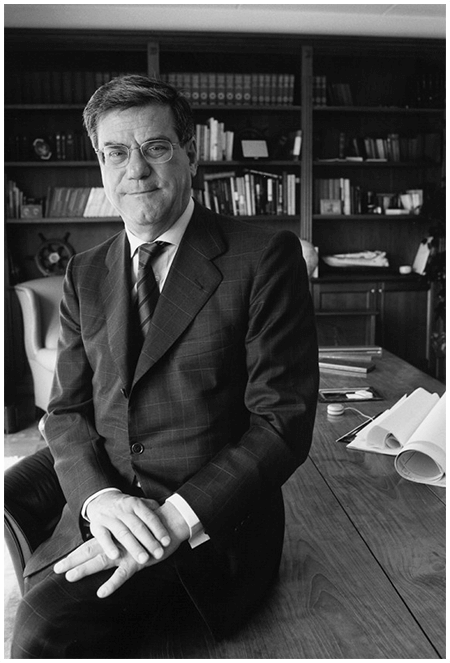 From the late nineties onwards, with the acquisition of new boatyards at Fano, the restructuring of the Benetti boatyards at Viareggio and the construction of a new site at Avigliana, in the province of Turin, Azimut went on to become the foremost builder of yachts and mega yachts. This leadership position was confirmed in subsequent seasons, thanks to numerous business successes and an investment policy that has consolidated Azimut's technological and production capacities over the years, with sites now established in Brazil. A yacht with an eco-friendly engine like a sailing boat, is it possible? When we achieve this goal in the future, we'll know that the first important steps in this direction were taken at the beginning of this millennium, with projects such as the Magellano 50, the first motor yacht below 60 feet to be awarded RINA Green Plus notation. The Magellano 50 has embraced all the technical and design skills used by Azimut for environmental protection, and is proof of the important results that can be achieved by a company sustainability program that focuses on the entire value chain, from developing concepts for alternative boats with a low environmental impact to clean production processes. Azimut Yachts was awarded ISO 14001 certification for its consistent and effective management system aimed at reducing the environmental impact of its operations. Since 2004 the company has used the Core Infusion lamination system and in 2007 the research began on the use of low environmental impact paints and resins. To maximize the eco-compatible standards of the yachts produced at its boatyards, Azimut decided to adopt RINA principles and to achieve RINA Green Plus notation. The result is a remarkable range of innovative solutions, including first and foremost hybrid propulsion motors, to sail with a near-zero reduction in noise levels and lower consumption on short day trips. In addition to: high performance propellers, LED lighting, anti-UV film on windows for better thermal efficiency and environmentally compatible materials. Experiments continue at Azimut's research centers, with the introduction of nanotechnologies to develop a longer-lasting anti-fouling coating with a lower impact for marine life. Azimut Yachts serves its customers at over 130 sites worldwide. It boasts the world's most extensive sales network for yachts and mega yachts, with representative offices, boatyards, service points and delivery centers located in Europe, the Americas and Asia. Boatyards and representative offices: Viareggio - Lucca (Italy), Itajai (Brazil), Shanghai (China) Service Points: Savona (Italy), Ft. Lauderdale - Florida (USA) With its international presence, Azimut forges and maintains relations with its yacht owners, and is close at hand to help them and their needs.